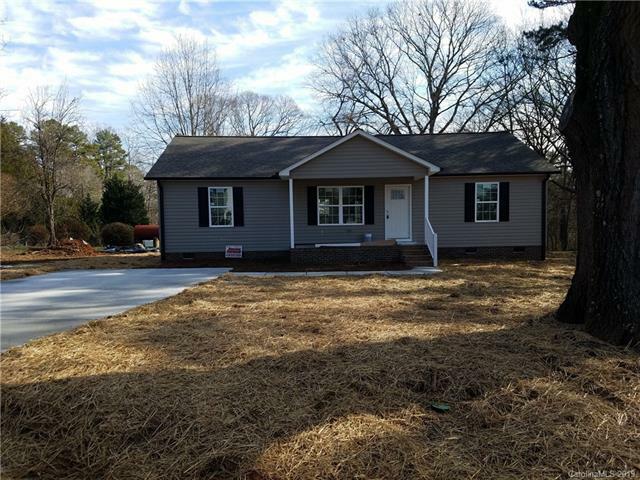 Quality Built New 3bd / 2ba home with desired split and open floor plan situated on nice flat lot. Architectural shingles. New SS appliances in kitchen. Cathedral ceilings in LR. Floor coverings include hardwoods, ceramic tile in bathrooms, & plush carpet in bedrooms. Master has double vanity and walk-in closet. Relaxing covered front porch and nice back deck great for entertaining. Conveniently located just off West A St. Currently under construction. NO HOA FEES! Rowan Taxes!